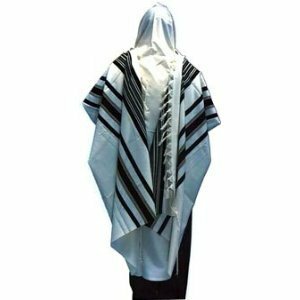 Designed as a perfect imitation of the wool tallit, this tallit has the traditional look of a pure wool tallit. 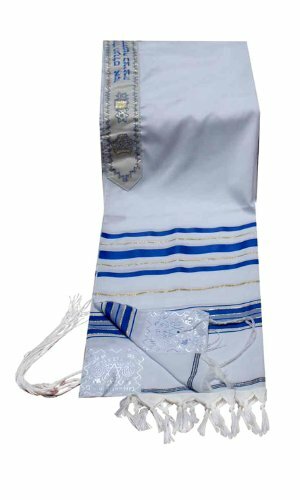 This prayer shawl is the ideal choice for temples, synagogues, and congregations, or anyone seeking a great quality tallit for an economical price. 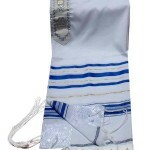 The blessing on the neckband is in Hebrew. 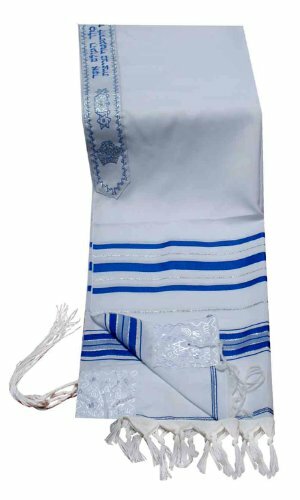 Here’s the translation in English: Blessed are You, our G-d, the King of the Universe, who has sanctified us with his commandments, and commanded us to wrap ourselves in the tallit.